Winter sunlight is so haunting: clean and cold and gone so soon with the short days. It can make a person melancholy to try to catch a glimpse of the sun before it sets. And yet there is something hopeful about the rare white gold light on a cold day that makes us venture out of our warm homes in search of it. And once the solstice is passed, even though the days grow colder, they grow longer as well, a reminder that however far spring might feel, it will arrive, slowly but inevitably. 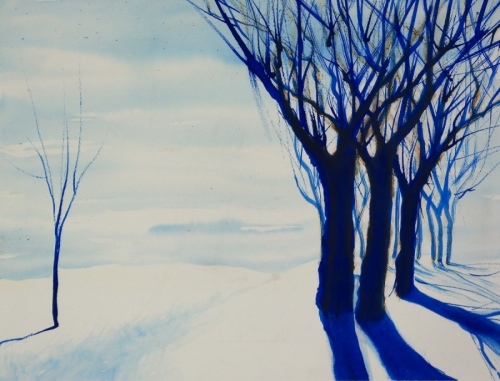 Ten Artspan artists explore winter sunshine. 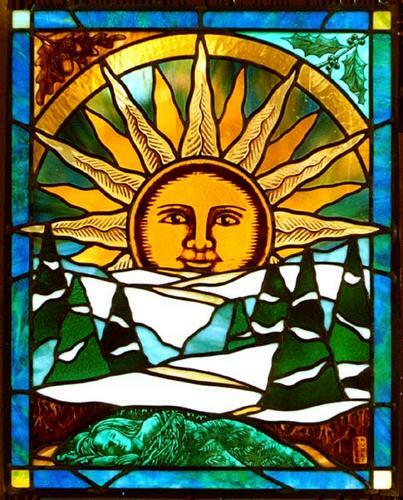 Leaded stained glass hanging panel with painted detail shows the sun smiling down on a winter landscape. 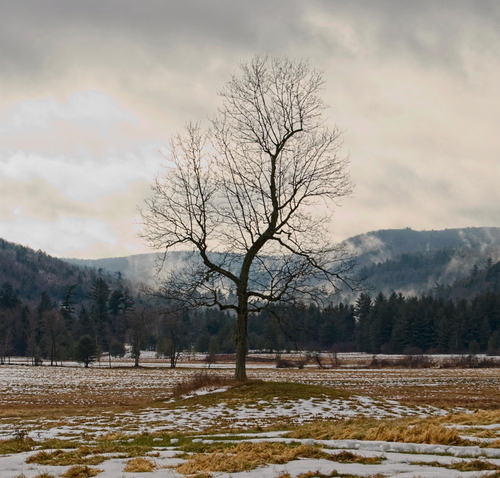 There is a starkness to winter in the north, but in this quietness there is a power in the simplicity. 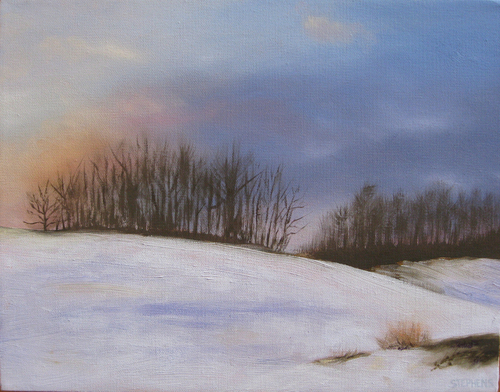 Like a cry of hope through the silence of winter, this piece is striving to create solace that has force. The painting is a reflection of hope. 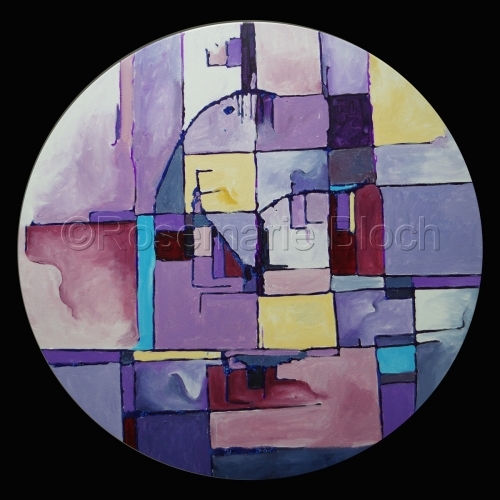 Shapes and other marks may suggest references to the natural world, inspiring each viewer to find his or her own connection, whether representational or transcendental. 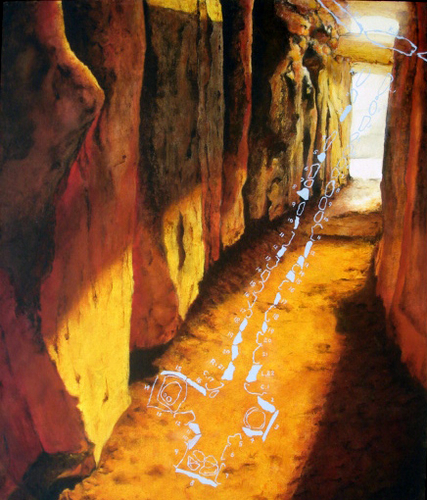 Newgrange Passage Grave with the winter solstice sun working its way through the passage. A diagram of the passage (in the shape of a cruciform) floats on top. Pacific Northwest native mythology tells the story of the trickster Raven who cleverly took the sun from the sky by stealing a burning ember from a magical box. 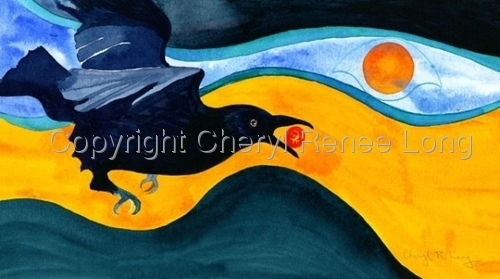 In this painting, Raven holds the burning ember in his beak, finally returning it to the sky so that the sun will return. On December 21, winter solstice, the days will become longer once again thanks to Raven's generosity. 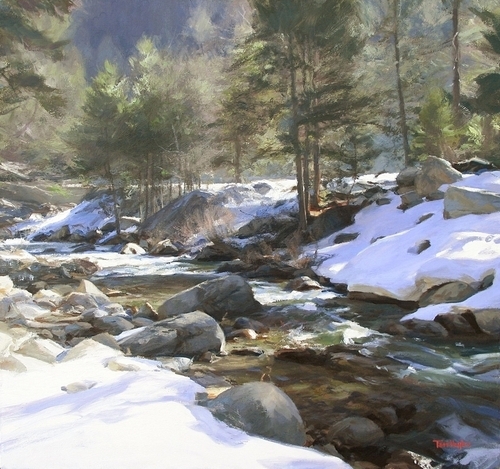 Winter sun shines on one of the tributaries to the Truckee River just north of Lake Tahoe. The color scheme is meant to suggest the softened colors of a grey snowy winter day. The circles suggest the solstice and the hexagons suggest the equinoxes: the endless cycle of life in the seasons. 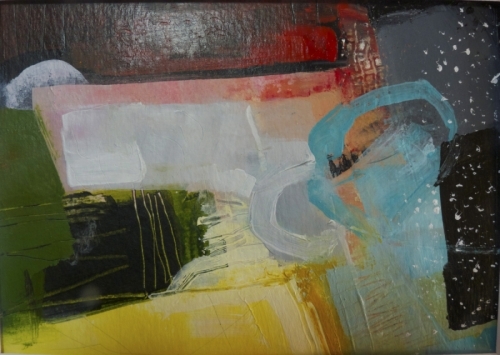 Rather than painting what she sees, Stephens paints the colors and harmonies that she wants to see. Russel is influenced by the work of 19th Century American Tonalists and Impressionists, but her contemporary training provides a fresh take on the subject. 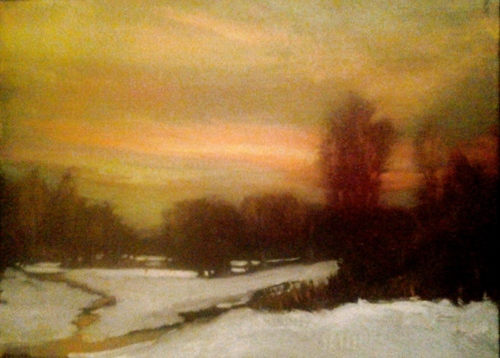 Heeter captures the pale beauty of the winter sun.